As you probably suspected, the NSA's massive phone record collection "has had no discernible impact on preventing acts of terrorism," according to a new study. In fact—and perhaps more interestingly—the agency's real problem isn't a lack of information. It's an excess of secrecy. In the study, the New America Foundation reviewed 225 terrorism cases and found that traditional investigation and law enforcement methods actually did the most to prevent attacks. About a third of the leads in terrorism cases came from tips or an informant, while old school surveillance warrants were used in 48 cases. All things told, bulk telephony metadata collection provided evidence in only one case, a case that didn't even present the threat of an attack against the United States. The results of the New America Foundations study are notable but not terribly surprising. After all, President Obama's own advisory board said a couple weeks ago that the NSA's program "was not essential to preventing attacks" and that the real useful evidence "could readily have been obtained in a timely manner using conventional [court] orders." 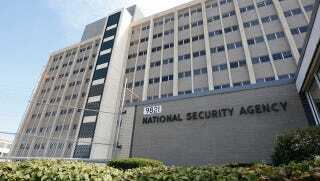 They also agree that the NSA's secrecy is doing more harm that good.